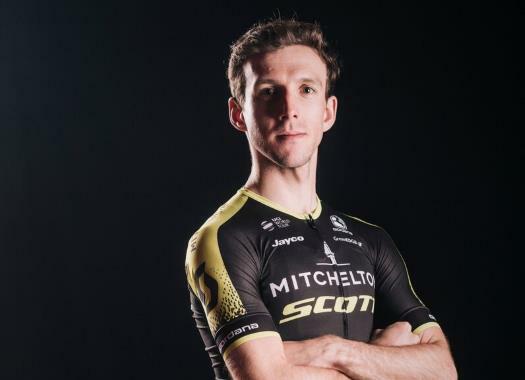 Simon Yates (Mitchelton-Scott) attacked from the favourites group in the last kilometres, creating a gap big enough to take the Pink Jersey while his teammate Esteban Chaves took the stage victory. The stage was a perfect job for Mitchelton-Scott and allowed Yates to save the energy he was going to need at the end. "The start was a bit crazy with a lot of attacks going and Esteban (Chaves) was in the front in a big group so that meant that I could sit back," the Briton commented. "And I did the same at the final. I tried to be the best as possible but I didn't have to do anything, I could sit in the wheels and save some energy. Of course, we had Esteban in the lead so, in the end, everything worked out perfectly. "I felt really good and I saw that everyone was looking at each other so I took the chance and I got across. So, in the end, it worked out really good." The duo arrived at the finish line together and the Colombian took the stage victory while Yates got the Pink Jersey. "I said to Esteban as soon as I caught him that he could take the stage because I had enough time to take the jersey," the rider explained. "He'd been on the road in front all day so he deserved it also."